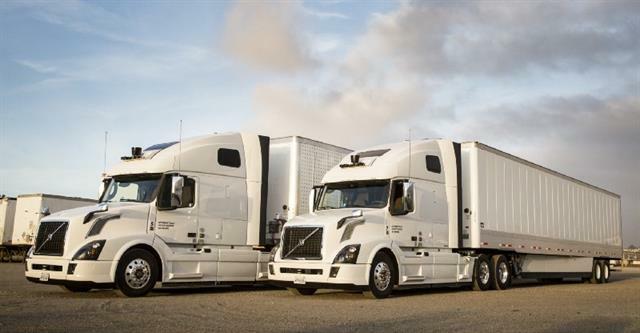 Mixed fleets with self-driving long-haul trucks and traditional human-driven regional routes could help the trucking industry address the problem of an aging driver workforce, said Uber in a recent company blog post. In the post, Uber argued that rather than a future of autonomous trucks replacing the humans in the trucking workforce with robots, the technology could be used to both alleviate the driver shortage and help make the existing driving jobs more appealing to younger prospective drivers. Quoting statistics from American Trucking Associations, Uber stated that the truck driving workforce is currently much older than the average, 49 vs. 42, and as many as 400,000 current drivers are expected to retire in the next decade. Over the same period of time, freight demand is expected to increase and would require an influx of around 900,000 drivers to keep up with demand. Uber is currently making its foray into the trucking industry through its Uber Freight load matching app, and the company also says it is at the forefront of self-driving vehicle technology. The company states in the blog post that using a system of transfer hubs, the transportation industry could meld mixed fleets of self-driving trucks with more localized traditional trucks in order to meet the growing demand. Strategically placed around the country, these transfer hubs could receive goods transported by self-driving trucks that are specifically designed for highway driving. The freight would be delivered to and from hubs where regional trucks would distribute the freight to its final destination. This method would also help accelerate the usefulness of current self-driving technology which is already being tested on open highways but still faces technical hurdles when it comes to urban environments, complex loading docks or even navigating through transportation facilities. The company began a research project into the potential impact of self-driving trucks on the trucking industry. Working with an estimate of 1 million self-driving trucks on the road by the year 2028, Uber found that the number of truck driving jobs would still increase overall in the same period. While the autonomous vehicles would reduce the amount of long-haul trucking jobs, it would create far more short-haul driving opportunities. Uber also believes that the shift toward short-haul jobs could gradually move the trucking industry away from per-mile pay to a more traditional hourly model. “We don’t know exactly how fast self-driving trucks will become part of the industry, or how much impact they will have in the coming years, but we believe that they will help the industry, and the people who keep it running,” Uber stated in the blog post.